ABSTRACT: LETTER FROM CHINA about increasing demand for psychoanalysis among the Chinese. Writer tells about Elise Snyder, an associate clinical professor of psychiatry at Yale who, in 2001, began recruiting American analysts to provide analysis to Chinese patients over the Web via Skype. The concept of discussing private troubles and emotions with a stranger runs counter to some powerful Chinese beliefs. For most of Chinese history, mental illness carried a stigma of weakness. Mental health was left largely to herbalists. At the time of the Communist revolution, in 1949, China had some sixty psychiatrists for a population of nearly five hundred million. Discusses the mental health issues caused by the Great Leap Forward, the Cultural Revolution, and China’s recent economic expansion. Tells about the suicides of workers at Foxconn factories, which make iPhones and other electronics, and a series of murderous attacks on young children by middle-aged men. According to The Lancet, nearly one in five adults in China has a mental disorder, as defined by the Diagnostic and Statistical Manual of Mental Disorders. Writer meets Snyder and her husband, Michael Holquist, in Beijing. They had come to China for Freud and Asia, the first International Psychoanalytic Association conference on the continent. In the years since the first analyses via Skype, Snyder had created a non-profit organization called the China-American Psychoanalytic Alliance (CAPA). 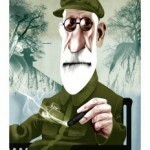 Two years ago, Snyder started a Web-based training program in psychotherapy that has students in twelve Chinese cities. Writer interviews an aspiring Chinese analyst named Zhong Jie, who treats patients suffering from marital or family problems stemming from social trauma such as the Cultural Revolution. Tells about a group of American analysts and their spouses who had come to China for a tour organized by Snyder. Considers the effectiveness of analysis received via Skype and discusses whether cultural differences between American analysts and Chinese patients may impede treatment. Writer interviews Zhang Jingyan, a retired art-history professor who is in analysis and studying psychotherapy. Psychoanalysis may give the Chinese a vocabulary for discussing the effects of the Cultural Revolution, or the true cost of a frantic sprint to prosperity, or the toll of life under authoritarianism, but the writer finds it hard to picture the latest Freud Fever lasting. China is more likely to absorb the most practical of Freud’s ideas and discard the rest, as it has with Marxism, capitalism, and other imports.